What’s normal? Humans, chickens, and gremlins in the supply chain. The chicken shortage has been pinned on KFC changing its logistics partner, with the new contract coming into effect on Valentine’s Day, ‘operational issues’ reported soon after, and clearly not much logistical wriggle room from one end of the supply chain to another. But when it comes to supply chains, lack of wriggle room’s the norm. It’s been reported that the franchisees who run most of KFC’s UK stores had previously been able to use a JIT inventory strategy, with supplies delivered within around 24 hours of ordering – and that this capability wasn’t up and running by the time the new partnership went live. Gremlins creeping in during a supplier transition? Whatever your background, you’ll know that’s pretty normal. Angry customers were given a lesson in the paramount importance of supply chain resilience, and the episode got us talking at Breaking Blue. As prodigious tea-drinkers, we were quick to recall the tea industry nearly grinding to a halt, when a hurricane wiped out the world’s entire crop of banana leaves (they’re critical in the manufacture of teabag paper). Natural disasters are quick to expose vulnerability in supply chain. That’s the norm, too. 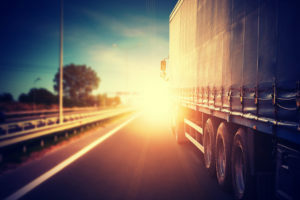 From the outside – as a non-expert in logistics, supply chain, or even fried chicken – it’s easy to lump these problems together and consider them variants on the same thing. They feel far beyond our control, and beyond the scope of market research. But at the same time, the insight we gather as market researchers goes far beyond these logistics and supply chain issues, and beyond getting finished products into shops, or fried chicken into buckets. What market research can deliver is a vital understanding of the human influence, beyond boxes and spaces – the things it’s so easy to focus on exclusively, when you’re talking logistics. We examine supply and value chains end-to-end, understanding the needs and pain-points of the people who form them. So while we can’t stop hurricanes and we’re not SCM consultants, we can kill off some of those logistics gremlins, because we can promise a demystification of that human factor, and apply it to changing business scenarios, lean processes and unexpected events. As any market researcher will tell you, for us these things are the norm.